Spanning two lots, this property in San Juan Capistrano, Calif., comes with a Mediterranean-style mansion and 430 lemon trees. 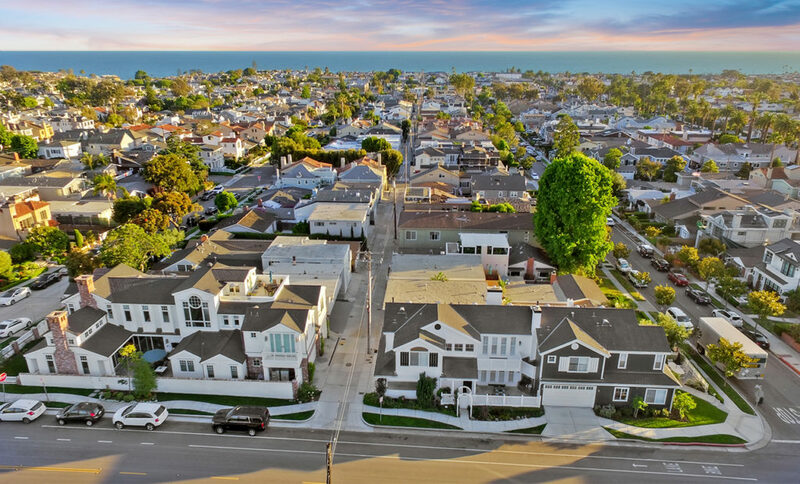 Dorian Knape looked at 70 houses before she and her husband, Jim, found this property in San Juan Capistrano, Calif. ‘We had been looking for a couple of years for a unique property in Orange County that would give us ocean views and privacy,’ she says. The couple paid $5.5 million in 2007 for the more than 5-acre property. They then embarked on a multi-year remodel of the house, the guesthouse, the six-car garage and the garden. ‘It’s in town—you’re not in the middle of nowhere,’ says Mrs. Knape, adding that it is about a five-minute drive to the freeway. 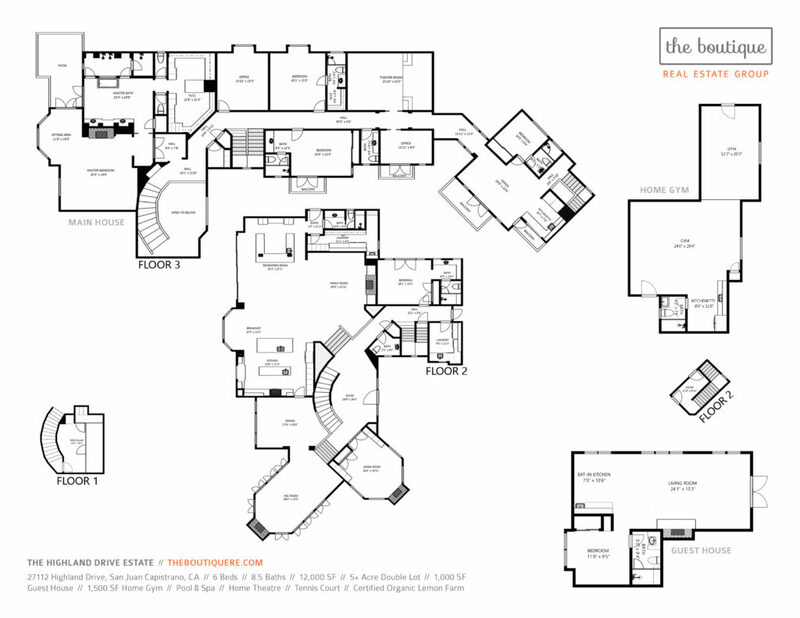 The couple took the approximately 9,800-square-foot Mediterranean-style main house down to the studs. ‘I wanted it to be timeless,’ says Mrs. Knape. The family moved into the home in 2010. Mrs. Knape estimates they have put approximately $8 million into the two-lot property. On the second lot, which was recently rezoned agricultural, they planted 430 lemon trees, she says. An accountant by training, Mrs. Knape started a medical device company with her husband and more recently started Pucker Urban Farm. Along with fresh lemons, she sells individually packaged drink shots called Mrs. Pucker’s Lemon Shot. They are made by squeezing the juice from the lemon and the peel as ‘the power is in the peel,’ she says. ‘It’s been a great family home,’ says Mrs. Knape. The outdoor loggia, shown here, has a coffered ceiling with built-in heaters. ‘You go through our gate and you don’t realize you’re in a city anymore,’ says Mrs. Knape. The property has a saltwater pool with ocean views. A sport-court is now a staging area for the lemon business. ‘It’s been a labor of love,’ she says of the lemon farm. They added a full outdoor kitchen with a dishwasher and a pizza oven. The chandelier in the entry and the railing on the staircase were among the few original details that the couple preserved. The walls in the entry are Venetian plaster. A glass wall separates the wine tasting room from the temperature-controlled cellar. The couple also renovated the approximately 1,000-square-foot, one-bedroom, one-bath guesthouse. The couple also added a gym. The couple are selling as their children are grown and they are planning on downsizing. Mrs. Knape says she will miss the serenity and the privacy. ‘I’s like you’re in your own world,’ she says. Mrs. Knape is 59 years old; Mr. Knape is 55. 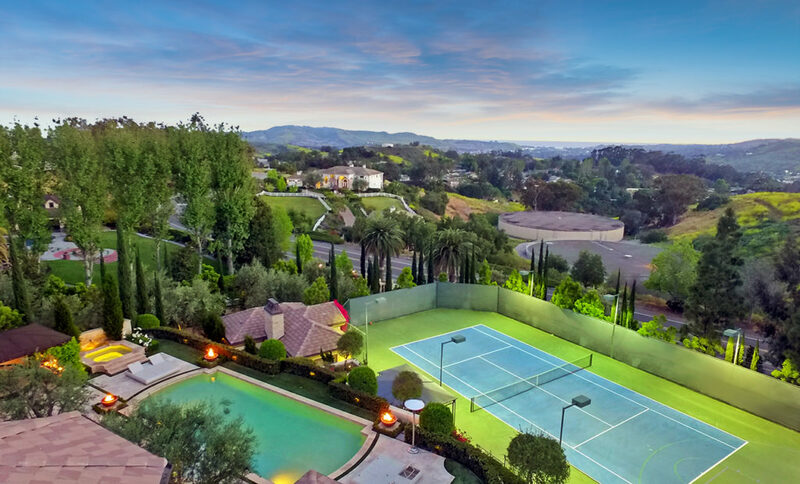 The home has an asking price of $11,888,888, a nod to Chinese numerology, which considers eight a lucky number. 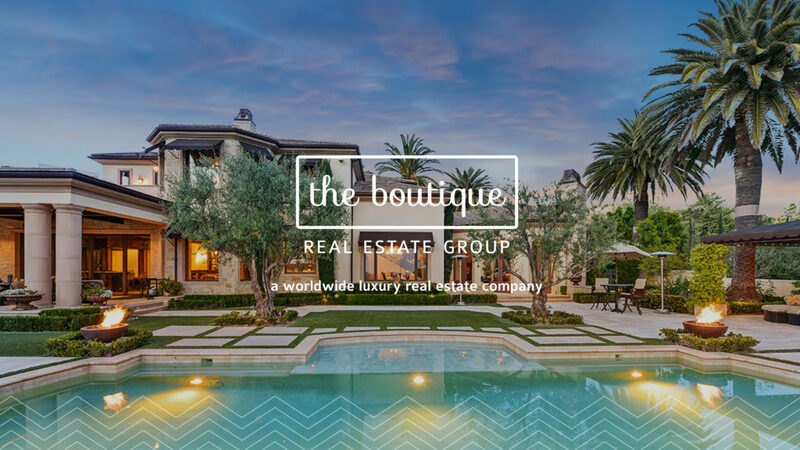 Raj Qsar and Christina Boladian of The Boutique Real Estate Group share the listing. The real estate industry is changing. Hand-written offers, filing cabinets and printers are a thing of the past. Mobile offices, instantaneous responses, and data analytics are here to stay. For a brokerage to survive in this new digital age, their agents need to be equipped with state of the art tools at their fingertips. Now that the days of drowning in paper are over, it seems like a new real estate technology pops up every day and it can be easy to get overwhelmed and lost in all the options. So how do you differentiate the useful from the useless and figure out which tools are right for you and your brokerage? 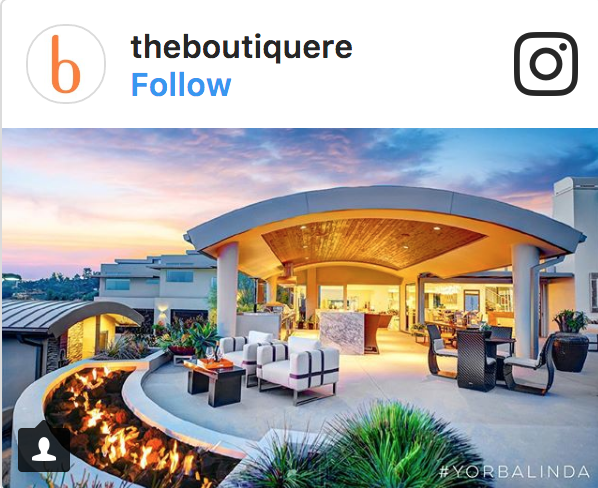 I spent a lot of time thinking about this very question for my team at The Boutique Real Estate Group. I started this brokerage with the primary objective of providing a world class experience for our clients. 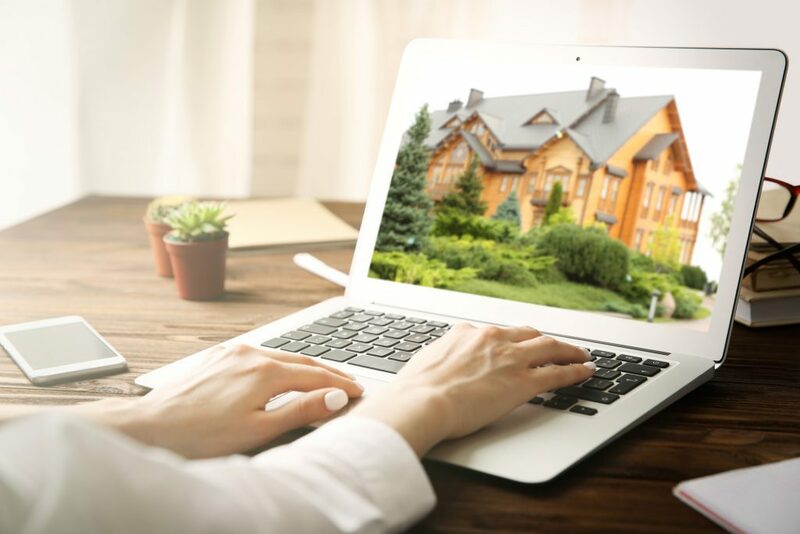 I have known from day one that in order to deliver on this goal my agents would need the right tech tools to do high quality work and provide a seamless experience to their clients. Spend the time to brainstorm and define what kind of brokerage you want to be. What is important to you? What does your brokerage stand for? And how will technology help you achieve this? Clearly define it. Write it down. Memorize it. Now every time you look at a potential tool ask yourself if it fits into your tech framework and if not – pass! You’ve defined your vision, but how do you bring it to life? The answer is – culture. Don’t underestimate the power of culture to get everyone in your office to achieve your vision. It is up to you and your leadership team to develop a culture that embraces technology and values change. Any technology that you consider for your brokerage MUST be mobile and tablet friendly. Agents, brokers and the modern customer need location independence – the freedom to work and sign on the fly. In the high speed world we live in nothing kills a deal like time. The real secret to the getting the most out of your technology investment is integrations. When data is seamlessly shared from platform to platform, your agents or transactions coordinators don’t need to waste time on tedious data entry. This can improve accuracy and allow your agents to focus on their clients. With these rules in mind, I have built a tech-enhanced brokerage that is leading the way into real estate’s digital future and is fully armed to deliver high quality service. Now that I’ve shared my secrets, please add your own in the comments section below. Congratulations! You’ve already taken the first step to properly preparing your brokerage for success in the digital age. Next up: navigating the hundreds of options out there – good luck! Raj Qsar, Principal and Owner of The Boutique Real Estate Group, was named The Real Estate Influencer of the Year 2017 by Inman News. He has cracked the code for creating a tech-enhanced brokerage and The Boutique was named Most Innovative Brokerage. 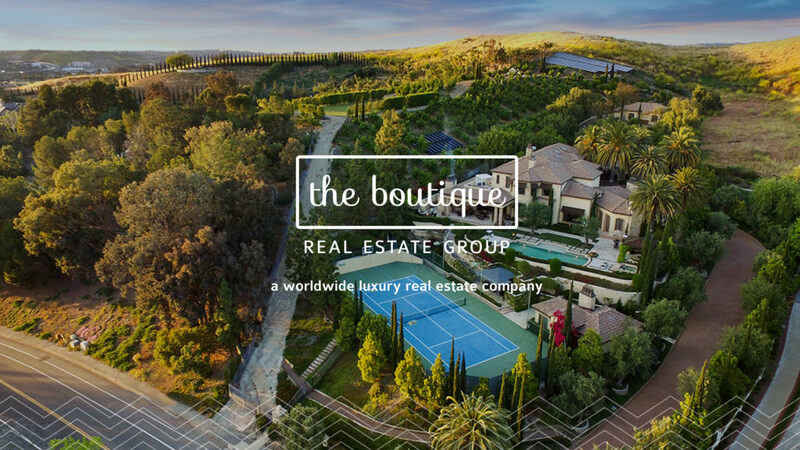 Find out more about what the Boutique Real Estate Group is doing by connecting with Raj on Twitter, Facebook, LinkedIn, Instagram, and YouTube. An inspired ode to the industry by Brad Inman September 6th, 2017. A new grandchild and the tragic events unfolding in Houston have me feeling overwhelmed with emotion and gratitude. Meanwhile I have been re-reading novels by Eve Babitz, one of my favorite writers who in the 1960s and ’70s wrote about the cultural milieu of Los Angeles and touched on the topics of social unrest, wildfires and earthquakes. An entertaining and poetic acknowledgments section precedes her classic 1974 novel Eve’s Hollywood. Babitz’s lyrical structure and this collision of thoughts and events inspired me to write about a few of my favorite things (and characters) gracing our wacky industry. Let’s call this my 2017 Acknowledgements Unlist. And to my last list…maybe.